The second Man Ray EP finds Joy Division & New Order bassist Peter Hook and Freebass keyboardist & multi-instrumentalist Phil Murphy blending Hooky’s trademark high range bass sound & his old school punk inflected chant with Murphy’s classic synths, guitars & drum machines to produce an instant classic. 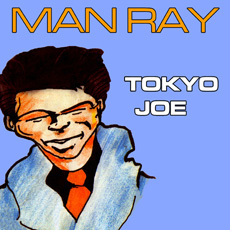 “Tokyo Joe” is presently the theme of the new Manchester, UK live music venue, The Factory, a night club established in the legendary Factory Records offices. Besides providing a producer’s hand, SI BRAD, AKA well respected electronic & dance producer Simon Bradshaw, drew the cover image of Tokyo Joe, culled from his personal cartoon collection dating back 25 years. 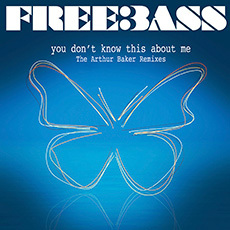 Man Ray’s previous record, the “Summer 88 EP” pays homage to the early Acid House vibes of The Hacienda night club with classic break-beats, rave sirens & floor shaking electro bass, whistles, keyboard stabs & a sense of musical adventure recalling the euphoric freedom & passion of the Haçienda Acid House revolution.